IBD isn�t a disease but rather the umbrella term for two major intestinal disorders that might sound more familiar: ulcerative colitis and Crohn�s disease. Both deal with inflammation in the digestive tract that can produce a wide range of unpleasant symptoms and lead to other health conditions. If you or a loved one are dealing with either of these conditions then you probably know that trying to control flare-ups�which bring on the symptoms�is the goal. Tessmer breaks down both of these conditions and provides reliable and practical advice on how eating right can help. 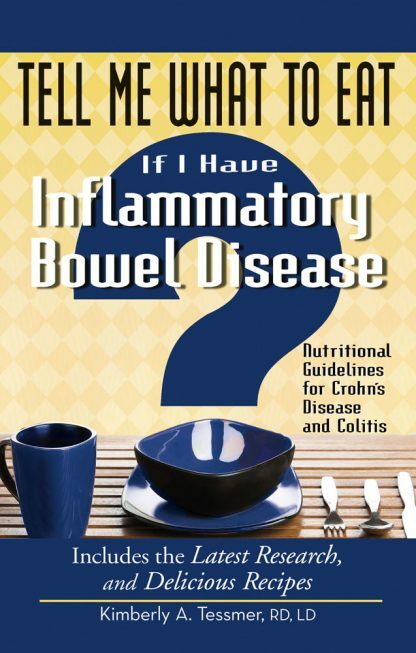 Tell Me What to Eat If I Have Inflammatory Bowel Disease begins with an overview of both of these conditions (as well as Irritable Bowel Syndrome, or IBS), then guides you through diet recommendations that are based on the latest medical information. You will quickly learn what IBD is and what you can do to limit the impact of unwanted symptoms. In addition, you�ll get dozens of mouthwatering recipes from knowledgeable RDs that will make implementing the nutritional advice a bit easier. It�s all nutrition you can live with!